“i hate u, i love u” artist Olivia O’Brien unleashes a roller coaster of feels through lyrically-driven music, often directed at the boys who did her dirty. 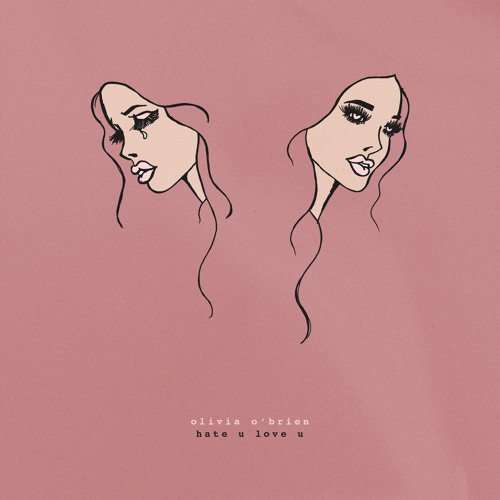 Enigmatic singer-songwriter Olivia O’Brien unleashes a roller coaster of feels through her lyrically-driven music, often directed at the boys who did her dirty. The laid-back 17-year-old Napa Valley native now resides in Los Angeles and has a platinum record under her belt: Rapper gnash’s summer-smash hit “i hate u, i love u,” which she wrote and contributed vocals to. Shockingly, “i hate u, i love u” was written when O’Brien was merely 15 years old. It peaked at a solid number 10 on Billboard’s esteemed Hot 100 chart and has garnered over 450 million streams on Spotify. It’s an achievement for a song itself to have the success of “i hate u, i love u,” yet it’s another feat for it to be your debut into the music industry. “The success was the biggest surprise of my life,” O’Brien says of its eminence. “i hate u, i love u” resonates with many, depicting a poignant unrequited/forlorn relationship that’s falling apart. Its simplicity of production forces listeners to hone in on the engaging lyrics. It combines a down-tempo beat with a piano, and features a soft-crooning chorus in which Olivia opens up about feeling used. The ballad evokes sorrow, the same exact feeling O’Brien had when creating the song. The soulful songstress, now signed to Island Records, is proving there’s room for authentic emotion-driven opuses in today’s music industry from young artists. Composition-wise, her music infuses looping melodies with various electronic and even hip-hop beats and occasional sing-rapping that complements her hypnotic yet soothing raspy timbre. O’Brien’s music invigorates stories, whether it’s being terrified to open up to someone else in “Trust Issues,” goofing around with friends in “Root Beer Float,” and rejecting romantic advances from someone who hurt you in “Find What You’re Looking For.” The vibes from her songs range, from happy-go-lucky to I’m over you. Donning a tattoo that reads “forever” to remind herself that pain and happiness fade, O’Brien demonstrates her maturity, evident in her relatable lyrics seen through youthful eyes. Musically, she’s influenced by fellow Bay Area artists like G-Eazy and Kehlani, whom she says are “killing it.” O’Brien even has a collaboration with the latter in the works. In a recent conversation with Atwood Magazine, Olivia O’Brien divulged her beginnings and her diversified, unique sound. Get to know this 2017 artist to watch through our exclusive interview! Atwood Magazine: In a past interview you said that you didn’t initially want to pursue a music career because you said you were a good student. What advice do you have for kids that are conflicted about what they want to do? Olivia O’Brien: I think that life takes you in a direction. For me, fate intervened in my life and I think it was all meant to happen. I got all these signs that said “you can do this, you can follow your dreams” [like Gnash inviting her to his garage to record “I hate u I love u” after they met at one of his shows]. It’s not that I didn’t want to be a musician, because I’ve been writing songs since I was 7 years old. It’s just I never thought it was a possibility, and I just wanted to go the safe-easy route which is school, college, find a job. But when I got these opportunities, it just made me realize that it’s a possibility that I can do it if I want to. So I think that if you just follow your dreams you can do anything that you put your mind to. What was the deciding factor that made you want to sign with Island Records? Olivia O’Brien: I just liked everyone who was working at the label. I love my A&R, and I love the president of the label, David Massey; he’s just super nice and cool. You know, they all seemed so interested in me. Whereas, [with] some bigger labels, I felt I wouldn’t be able to get the attention that I’m getting at Island, and I think Island really cares genuinely about me and my music. They believe in me. What inspired your other singles aside from “I hate u I love u”? Olivia O’Brien: Well “Root Beer Float” was just a fun song and everyone always asks me, “What does it mean?” It doesn’t really mean anything; it’s just a fun song about being young and just having fun with your friends! With “Find What You’re Looking For,” that’s another song I wrote right after “i hate u, i love u..” All my songs are just kinda about boys and I think they’re a little empowering. They say I don’t care what you do, I’m over it. There are a lot of young female pop stars out right now like Alessia Cara, Kiiara, Kacy Hill and more. How would you say your sound is different from what’s out? Olivia O’Brien: I hate to call myself a pop artist just because I feel like I’m inspired by a lot of R&B and hip-hop music and even some alternative rock. I have a lot of different sub-genres in my music, and I don’t like to define myself by a certain style. Right now I just have a few songs and it’s hard to really tell where I’m going, direction-wise. Once I have more music out, you’ll see that I have a lot of diversity in the type of music that I make. That’s what sets me apart. I also write all of my own stuff, which is pretty rare nowadays. All of my stuff is really lyric-driven. A lot of times I feel like I’ll almost rap on my verses — like I don’t want to call it rapping, but it has a flow rather than a pretty melodic thing going on. I hate to call myself a pop artist… I have a lot of diversity in the type of music that I make. How do hip-hop and R&B resonate more to you than pop? Olivia O’Brien: I just feel like a lot of pop music these days doesn’t have any meaning. It’s created just to make money. It’s created to just be on the radio to appeal to the masses, even with no deep connection. I don’t think that’s the way music should be made. My music’s always been so personal to me and it’s just the way I express my emotions! It’s how I feel. R&B and hip-hop music keeps that feeling. It has more meaning, and I don’t think it’s been as corrupted as pop music. In a past interview, you said your best song writing comes when you’re alone in your room. Why do you think you’re the most creative during those moments? Olivia O’Brien: When I’m alone, a lot of times I’ll just think about things a lot. I’ll overthink things that happened in my life and it kinda just puts me in my feels. It makes me really emotional and I just channel that into my writing and I’ll be inspired. Usually it’s really sad [chuckles], but it’s still good content. I feel like a lot of pop music these days doesn’t have any meaning… I don’t think that’s the way music should be made. It’s hard to enter the industry at such a young age, especially when there are always negative internet comments swirling around. How do you handle the negative attention? Olivia O’Brien: I need to get better at ignoring it, because a lot of times I just get super angry when people comment things that just aren’t true. It gets to me and sometimes I’ll respond to it, or you know my fans [laughs] will just go ahead and do it for me. They’ll respond to it and defend me, and it’s really great to have them because I know they’ll always support me. But I’ve been trying to ignore it, delete the comments or block the people that say mean things because I know if I respond to it, it just gives them attention and that’s what they want… Everyone tells me to do that, [laughs] but I haven’t been so great at it so far. Since you write your songs, you feel a connection to them. But which one do you have the strongest connection with? Olivia O’Brien: The song that I’m releasing in February is probably my most emotional song [I’ve] ever written. That one’s gonna be really, really deep. I actually cried when I wrote it. But other than that I would say “I hate u I love u,” just because it’s my sad song. I wrote it when I was in a really tough place. You recently tweeted “Empty Boutta Change Everything.” Is that the upcoming song you were referring to? Olivia O’Brien: Yes. It was extremely emotional and I think a lot of people are going to relate to it. You know, I haven’t released a sad song since “I hate u I love u.” But I think people who liked “I hate u I love u” are going to like this. It doesn’t focus on love, it focuses on personal feelings and struggles. I just think it’s going to be a good one. I also have a music video coming out for it and I’m really excited about that! I’ll overthink things that happened in my life and it kinda just puts me in my feels. Although Olivia O’Brien has had a very successful rookie debut, she still considers herself a normal girl. She goes out to lunch with her friends, shopping, and hiking in her downtime, enjoying what Los Angeles has to offer. She says it’s vastly different from her small-town life out in Napa Valley. Amidst the critical, statistically driven acclaim of “i hate u, i love u,” O’Brien relies on one factor to consider her music successful: “If people like my music with a positive reaction, then that’s success.” Looking forward, “Empty” will have the same raw, groundbreaking impact as “i hate u, i love u,” as Olivia O’Brien continues to dig deeper into herself, sharing her vulnerability through her sentimental vocals.